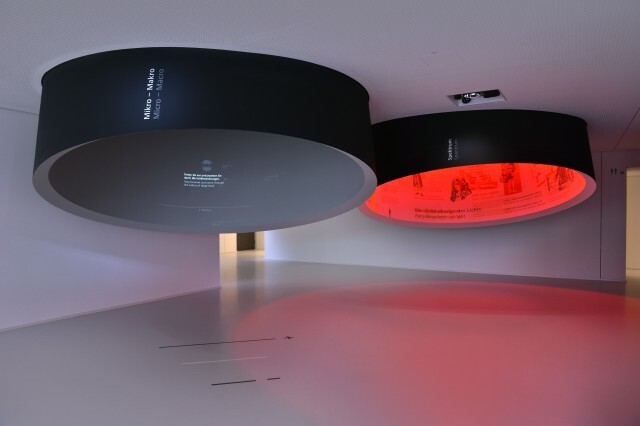 A custom control software was developed for a 17 x 5 m LED wall, which is the central element of the new corporate museum of filter manufacturer Mann+Hummel in Ludwigsburg, Germany. 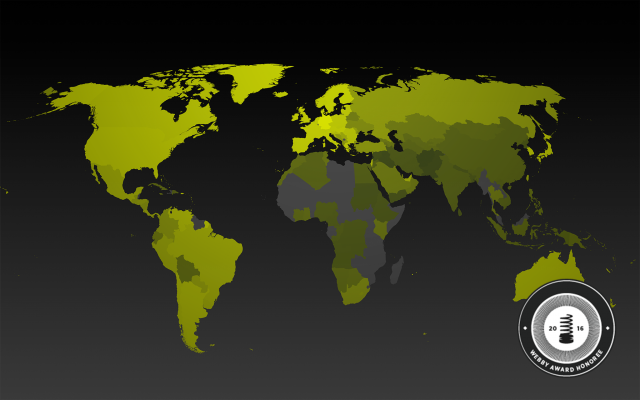 The application facilitates the display of generative animations, bar and line charts as well as a world map, which highlights the global locations of the company. 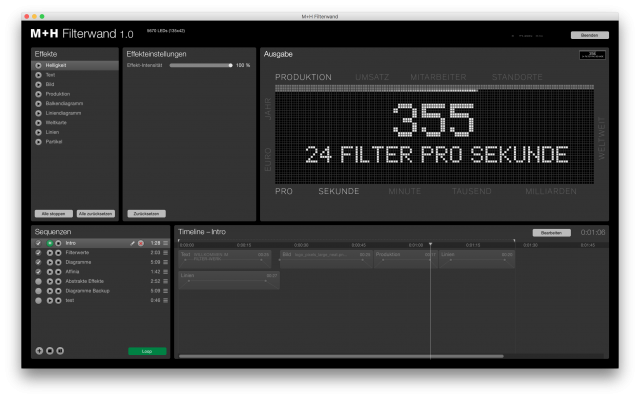 It features an intuitive timeline editor for the design and arrangement of the content. Besides the DMX output for the LED display, the software also controls the sound and the neon lights. 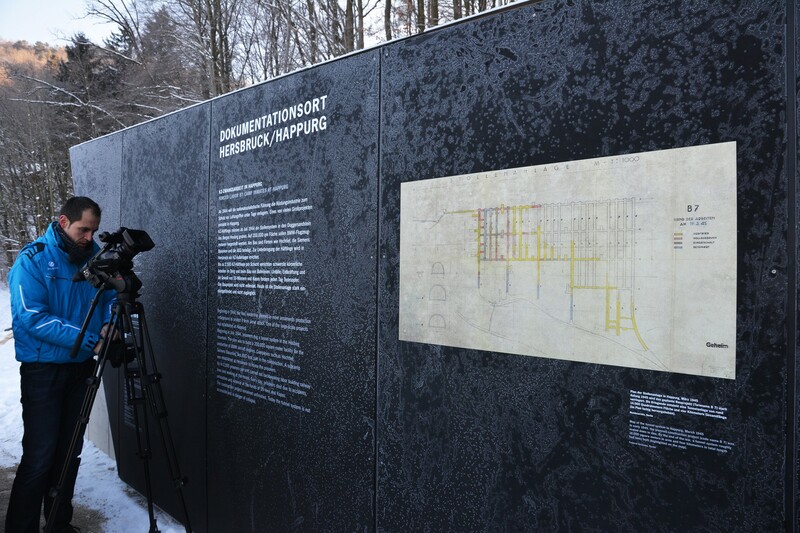 The Hersbruck/Happurg documentation site records the history of the second largest satellite camp of the Floss­en­bürg concentration camp. 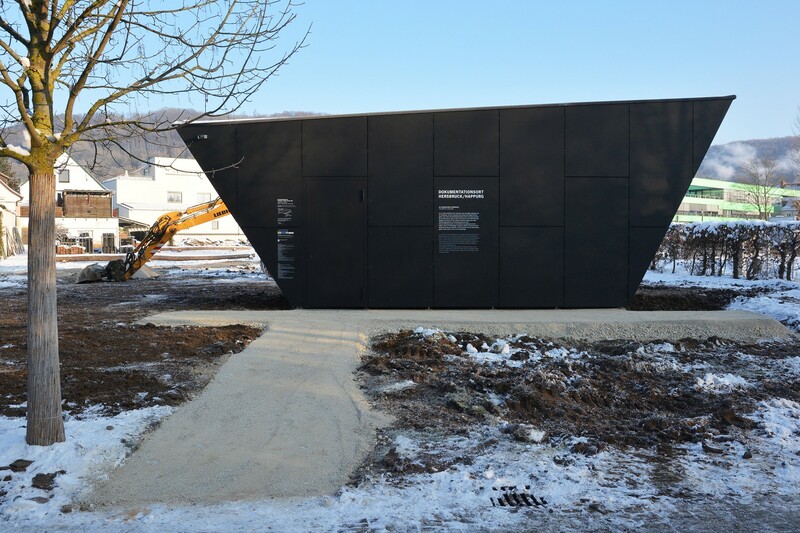 It consists of two modules: one in Hersbruck, the former camp, and another one in Happurg, the former place of forced labor. 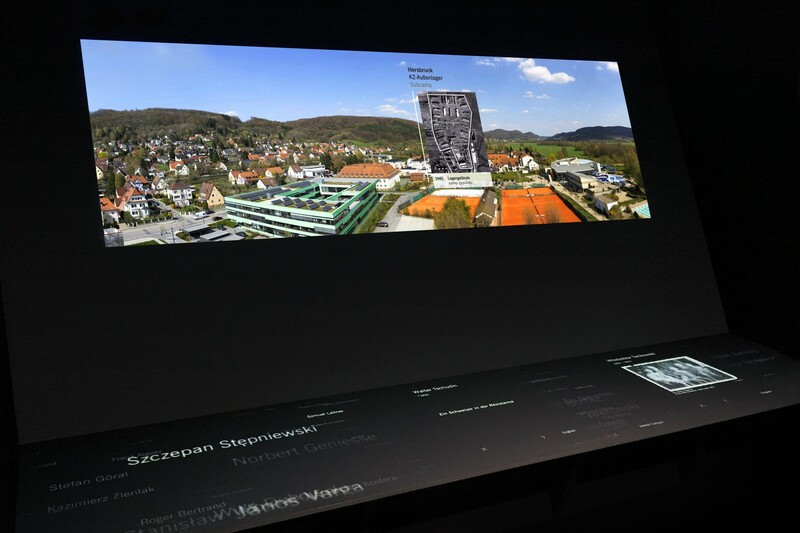 The Hersbruck module features a panoramic video of the surroundings of Hersbruck and a large multitouch table. 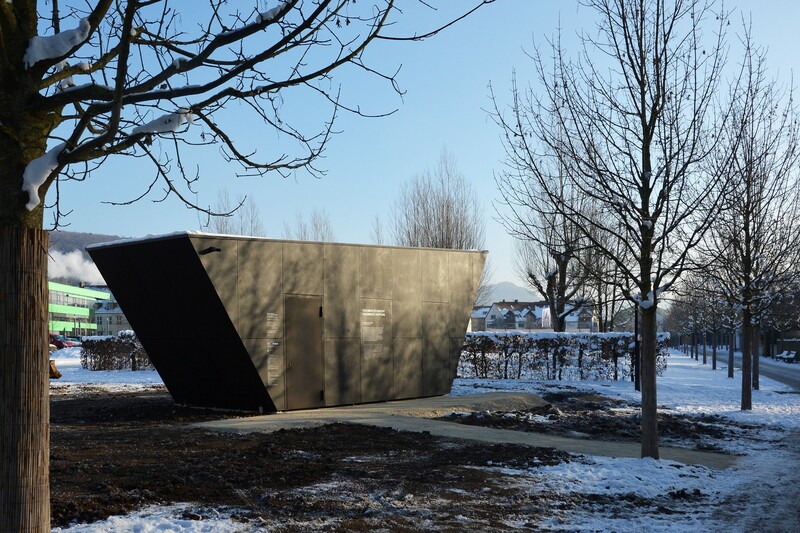 It displays the names of all the 9,000 known prisoners from all over Europe who were held captive there between July 1944 and April 1945. 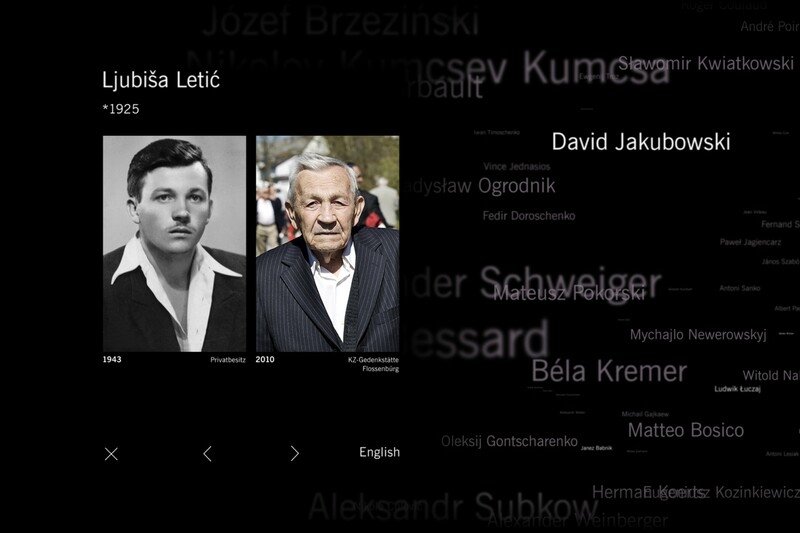 90 representative biographies featuring stories, animated quotes and images can be explored. 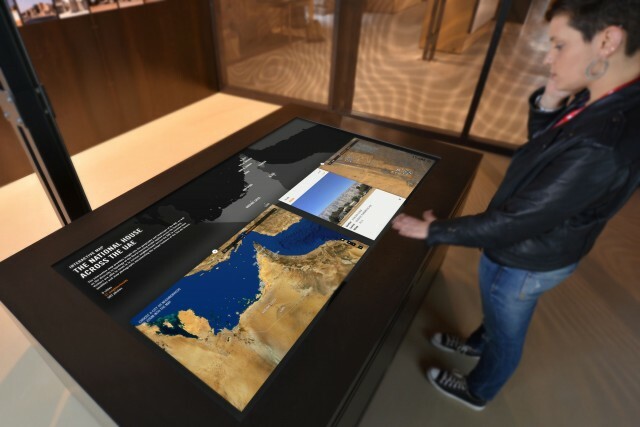 The interactive display was designed and programmed by Markus Lerner in collaboration with Bertron Schwarz Frey, Berlin/Ulm, who created the exhibition architecture for the documentation site. 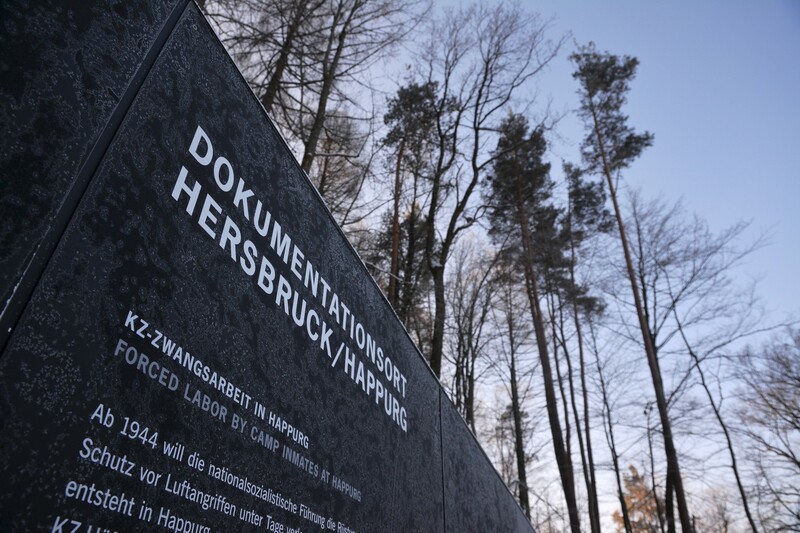 The documentation site Hersbruck/Happurg is opening to the public on Monday, 25th January. The new Grimmwelt Kassel shows the faceted œvre of the Brothers Grimm and unfolds the impact of their work until today and in the future. 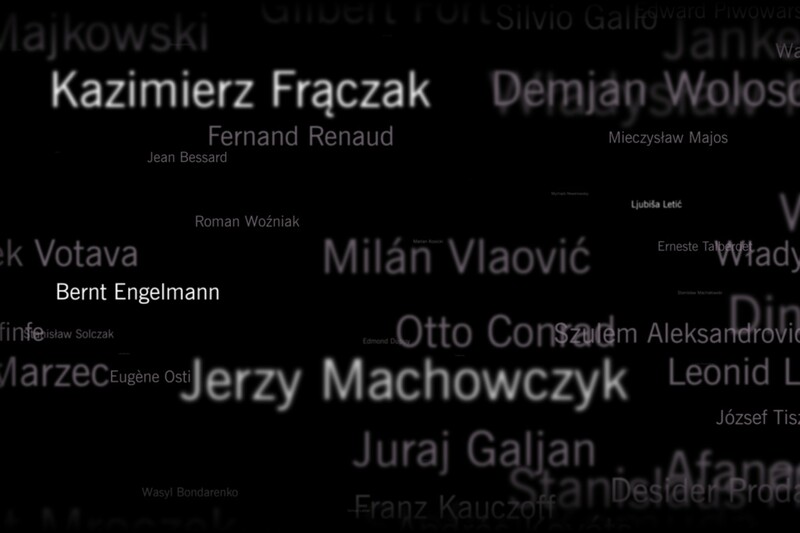 In collaboration with TheGreenEyl, Markus Lerner developed and interactive installation called “Wortarbeit”. 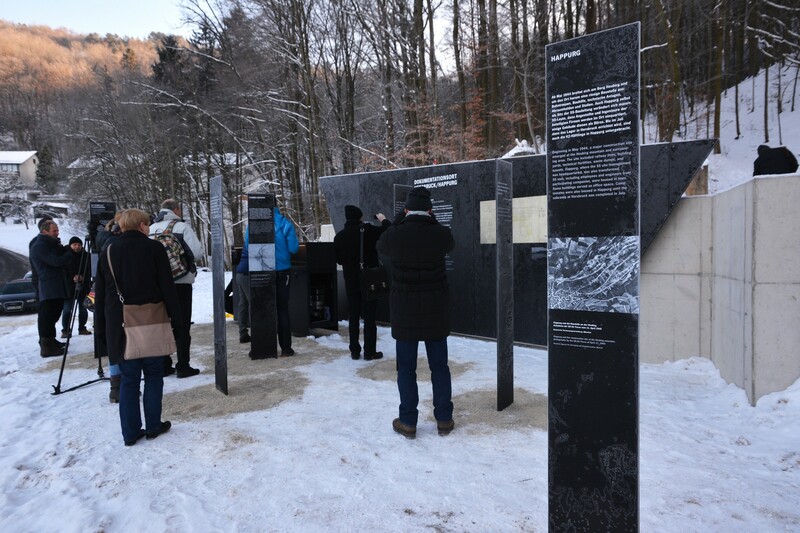 In reference to the famous German Dictionary (1838–1854/1961) by the Brothers Grimm the installation attempts to capture the visitors’ associations with words. 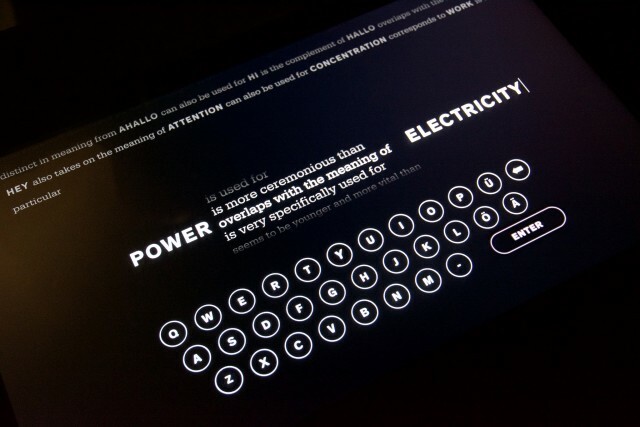 Within a predefined set of formulas (word connections), one word has to be explained by another word entered by the visitor. 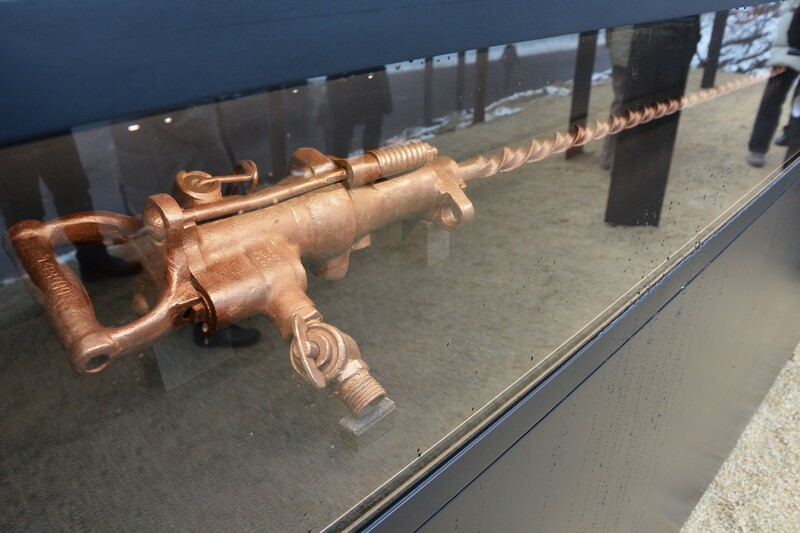 The results is a chain that grows endlessly word by word, which can be explored in multiple ways. 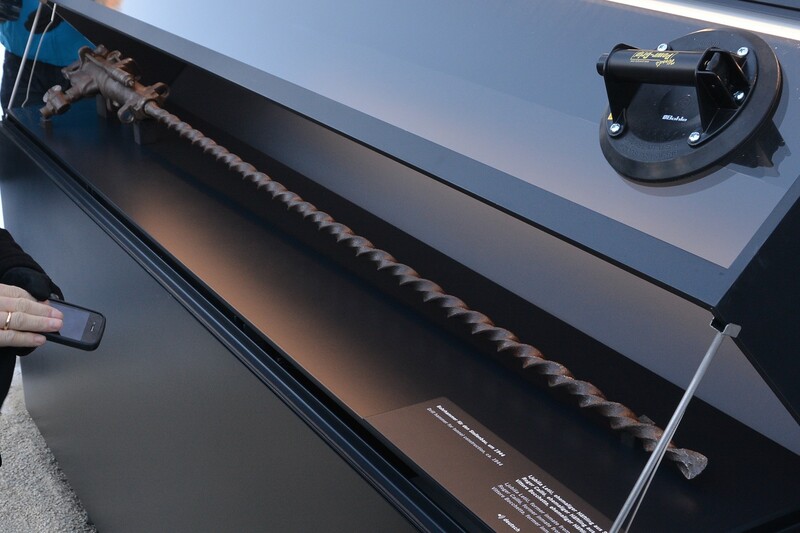 The Grimmwelt Kassel is open to the public from 5h September 2015.